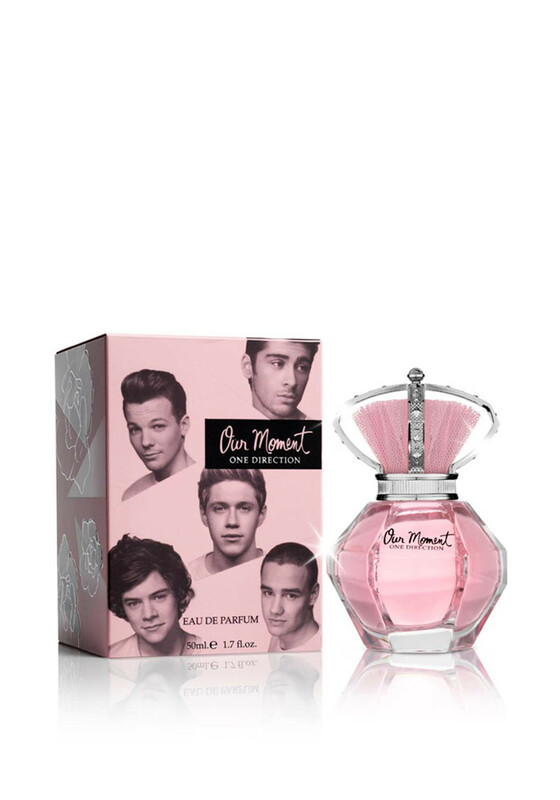 Delight that One Direction fan with the New Our Moment fragrance from pop boy band One Direction that is composed of fresh fruity notes combined with mellow woody musky nuances in the background. Top notes feature cheerful red currant berries, wild berries and pink grapefruit. An elegant heart offers a bouquet of freesia, jasmine and frangipani, while musk, woods and \"white patchouli\" develop a warm sensual base. 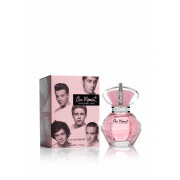 Our Moment comes in a girly pink flacon topped with a crown.